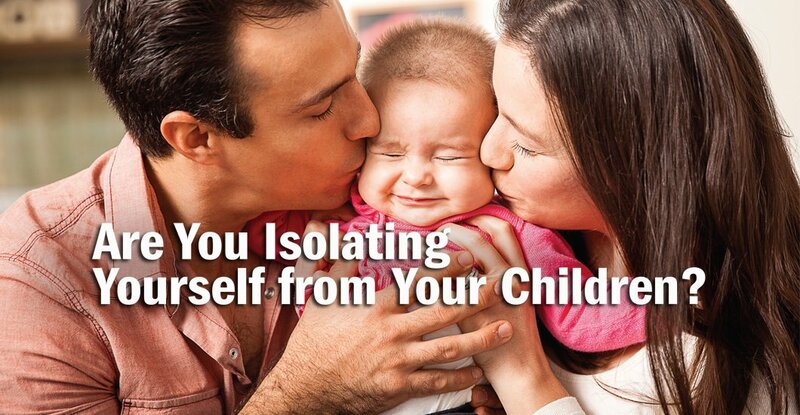 Are you isolating yourself from your children? There comes a time when parents simply want some quiet time to themselves. Handling the rigors of parenthood by meeting the temporal and spiritual needs of our children can take a physical and spiritual toll. This carnal desire is something almost every parent goes through. It is not a sinful desire per se for a parent to seek a retreat or respite of sorts from his or her children. What can lead this desire toward the stages of sinful behavior is the intention of deliberately removing ourselves (isolating) from caring and teaching our children. A subtle but troubling trend I have witnessed over the last several years is the parental desire for some peace and quiet replaced with the act of parents isolating themselves from their children. What I mean here is a gradual separation of the spiritual, emotional, physical and psychological relationship between parent and child. Whether the reason is work, family structure (i.e., singleparent family), working parents or the daily distractions that come from daily living, the intimate relationship between parent and child appears to be gradually eroding for more reasons than the ones just mentioned. By nature, children desire to be near their parents—it is part of the protective nurturing process all children seek. When this parent-child structure is interrupted the alternatives may not always be spiritually healthy and in a worst-case scenario lead to direct isolation which then becomes the norm of parenting. The “Catechism of the Catholic Church” (“CCC”) reminds us that the Christian family is a communion of persons, a sign and image of the communion of the Father and the Son and the Holy Spirit. … The relationships within the family bring an affinity of feelings, affections and interests, arising above all from the members’ respect for one another. The family is a privileged community called to achieve a sharing of thought and common deliberation by the spouses as well as their eager cooperation as parents in the children’s upbringing (“CCC,” 2204-2205). In his letter to the Ephesians, Saint Paul tells us that we are to grow up in every way into Him who is the head, into Christ from whom the whole body, joined and knit together by every joint with which it is supplied, when each part is working properly makes bodily growth and up-builds itself in love (4:15-16). Our identity as parents rests in our understanding and willful intent to place Jesus Christ at the center of everything we do, especially our parenting. every time a parent asks, “What should I do about my son?” I immediately tell him or her to first begin to be genuinely present. It is very important that a child knows that his father and mother are there both spiritually and physically. The ease by which one can fall into what I call the sin of isolation from their children is why the virtue of presence is so important. When isolation begins to occur, the child will, more often than not, direct his attention toward something that will draw his desire away from his family and replace it with another outlet, typically one involving social media. Saint John Paul II reminded us that the family finds in the plan of God the Creator and Redeemer not only its identity, what it is, but also its mission, what it can and should do (Familiaris Consortio, 17). This means that our actions as parents are intimately called to re-echo Christ. One facet of this action is to bring Christ into the home in prayer. When we invite and initiate a relationship with Christ within the home, it strengthens the family unit and provides a spiritual base by which the family can withstand the sin of isolation. Parents must regard their children as children of God and respect them as human persons. Parents have the first responsibility for the education of their children. They bear witness to this responsibility first by creating a home where tenderness, forgiveness, respect, fidelity and disinterested service are the rule (“CCC,” 2222-2223). A recurring theme on the family found in the “Catechism” is the practice of showing respect to our children. This act of love is very important in avoiding the sin of isolation because it reaffirms the Christian anthropology of the family. This means that the parent child relationship was not created to be isolated from one another. A sound and practical way of avoiding the sin of isolation is by being present to our children, especially in prayer. Children desire reassurances from their parents, which include their physical presence. The process of accompaniment between a parent and child involves the simple act of recognizing the dignity of the child. This act of love dispels any temptation to isolate ourselves from our children because we see them as authentic gifts from God. One of the surest ways to dispel parental isolation is through the practice of intercessory prayer. Simply put, intercede (pray) on behalf of your children and offer them to Christ. At the heart of the act of intercessory prayer is the deliberate act of the will to think of someone other than yourself. You place the intentions of the person before yours and in this case our children before us. The gift of intercessory prayer is that it allows us to always be present with our children and that is exactly what our parental call is all about. © serves as the Department Director of Evangelization and Catechesis for the Catholic Diocese of Fort Worth. His professional catechetical background spans more than 19 years. Most important for him is his primary catechetical ministry—his family! Happily married to his wife Amy for nearly 18 years, he is blessed with four wonderful children, Miguel, Gabriella, Maria and Gianna. Originally published in www.knowingisdoing.org. Reprinted with permission. On a recent Saturday morning, my sixteen-year-old son said, “Dad, I’m bored. What are we going to do for fun today?” Knowing my youngest son well, I translated this to mean that he was looking for something new and exciting and I was supposed to provide it. This all-too frequent discussion with my children has been the cause of considerable reflection of late. As adults do we also seek frequent engagement and entertainment? Does this desire for fun and excitement ever spill over into how we view our Catholic faith? I often hear complaints that the “mass is boring,” “the priest is difficult to understand” or “the priest didn’t wow us with an exciting homily.” Still more complaints (whining?) center on the lack of exciting music during mass or the “inconvenience” of having to attend mass weekly as well as all the Holy Days of obligation. I also frequently hear this comment: “I wish our parish was more like (insert name of any Protestant megachurch). They have a lot of fun in their services and the music is awesome. They even have a coffee bar!” The list of complaints is likely much longer, but I think you get the picture. Are we suffering from Spiritual A.D.D.? Much has been written about the explosion of Attention Deficit Disorder (A.D.D.) in the past few decades. Many studies link kids’ over-stimulation from video games as a big contributor to the problem. Adults have the same challenges as we struggle with our own addictions to smart phones and information overload from computers, TV, etc. Is this problem spilling over into our spiritual lives? Do we go from parish to parish looking for some sort of “Catholic buzz” to keep us entertained? Do we flirt with hearsay by attending non-Catholic churches? Are our brains, craving more and more stimulation, incapable of finding peace? We need to tune out the “noise” to achieve the quiet and focus required in the mass. Spiritual Shepherd or Entertainer-in-Chief? Do we ever take a moment to consider the challenging life of a Catholic priest? In addition to being our spiritual shepherds, parish priests are the administrators of complex organizations often beset with unique problems ranging from people issues on the staff to budget shortfalls. 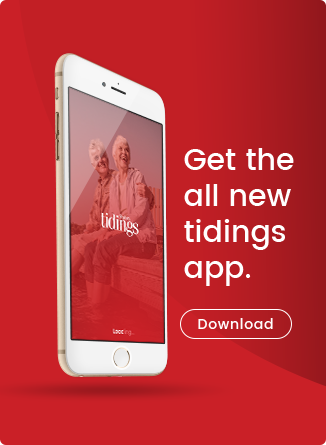 Their days are filled with saying mass, presiding at weddings, funerals and baptisms, hearing Confessions, visiting the sick, prayer, study, meetings with parishioners and dozens of other duties we may not fully appreciate. They are not our entertainment directors. Before we complain about something these men of God did or did not do, we should reflect a little and say a prayer of thanksgiving for their life-long commitment to help us attain Heaven. These good men need our prayers and our support every single day. They do not need nor deserve much of the criticism that is sent their way. The Eucharist Do you ever notice that entering the church for mass these days often resembles people finding their seats in a theater before a movie begins? There is lots of noise and chit-chat all the way up to the beginning of mass. Where is the reverence? The respect? The humility? Time spent preparing to enter into the mysteries? We are about to receive Holy Communion, the body and blood, soul and divinity of our Lord Jesus Christ, but we sometimes treat this sacred time like a secular family reunion instead of a holy celebration. Maybe one of the reasons people feel bored with the mass is they have forgotten that the center of the mass is Jesus Christ in the Eucharistic sacrifice. “The Christian faithful are to hold the Holy Eucharist in highest honor, taking an active part in the celebration of the most august sacrifice, receiving this sacrament devoutly and frequently, and worshiping it with the highest adoration; pastors, clarifying the doctrine on this sacrament, are to instruct the faithful thoroughly about this obligation" (Code of Canon Law #898). A little Self-Awareness and a desire to change If anything that you have read so far sounds familiar and hits too close to home, there may be a problem and change needed. Too often we do not know how we are behaving and coming across to others unless we hear it from a friend. More importantly, if we are in the “complainer camp” can we change course? A thorough and honest examination of conscience provides an excellent way to identify our sinful behavior before having those sins forgiven by a priest in the Sacrament of Reconciliation. With more self-awareness and a contrite heart, it is only logical that we can now focus on what is really important about the mass and better understand the critical role the Church plays in our lives. We cannot Be Bored if We Are Sincerely Seeking Him Boredom is a side effect of our fast-paced, materialistic culture. We feel bored because we are constantly being over-stimulated and sold on the idea that we can have it all now and that something better is always around the corner. As rational human beings, we must realize that this is neither true nor sustainable. If we are sincerely seeking Christ, we will find Him through the Church He founded. 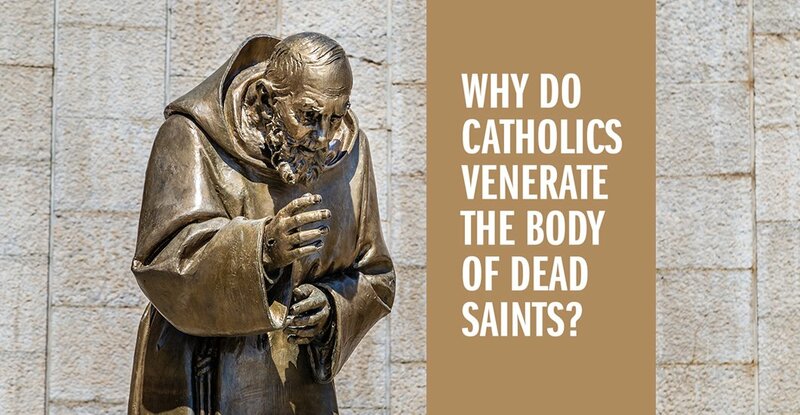 The world offers celebrities to idolize … the Church offers saints to follow. The world offers noise … the Church offers peace. The world offers false dreams … the Church offers the truth. The world offers and celebrates vice … the Church offers a life of virtue. The world offers earthly pleasures … the Church offers eternal heaven. 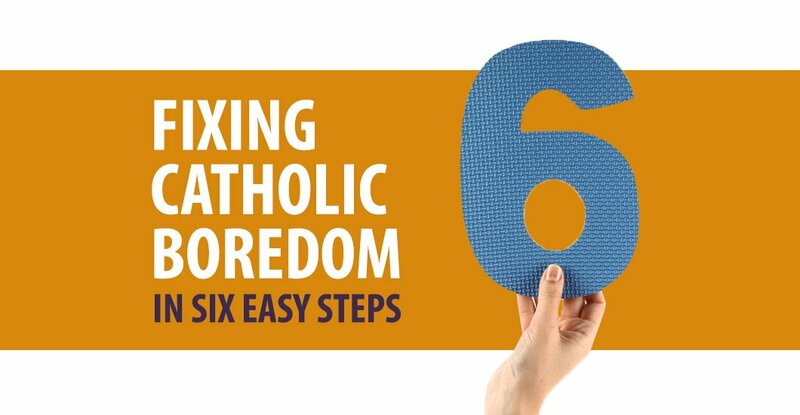 Fixing catholic Boredom in Six easy Steps Every issue I posed has been an ongoing challenge for me and countless other people I know. We must realize this is not healthy behavior. How do we change? To sum up, here are the key points you have read, summarized into “Six Steps to Cure Catholic Boredom”: 1. “We have to turn off at least some of the noise.” Our spiritual A.D.D. is fed by our addiction to too much input from various sources. Do not listen to the radio in the car. Eliminate most, if not all, TV time. Read more books. Get outside more often. Find time for quiet reflection and prayer every day. 2. “Show more respect for our priests and quit looking to them for entertainment.” They are not here to make mass “exciting.” We are at mass to offer worship and receive the Eucharist, not to hear an emotional homily or loud music. 3. “Remember the mass is about the Eucharist.” Have we prayed to be worthy to receive Jesus? Have we thanked God for this gift? Have we prayed to let others see Christ in us? Reverence, gratitude, humility, worship … these are the keywords to remember about the mass. 4. “Go to Reconciliation as often as possible.” Do a thorough and honest examination of conscience. Where have we fallen short? Confess these sins to a priest and be forgiven. We will be less critical and eliminate boredom if we are acutely aware of our thinking and behaviors that lead to these avoidable sins. 5. “Get involved and make a difference.” Sitting on the outside and complaining is boring. 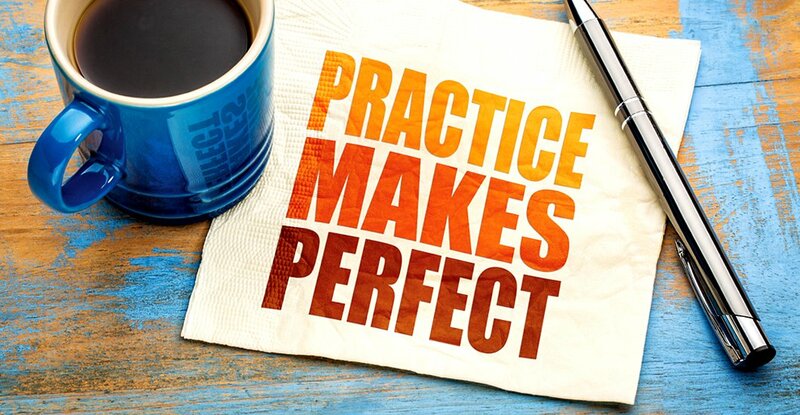 Why not join a parish ministry and contribute our time and talent in a more productive way? 6. “Quit trying to please both the world and God.” “you cannot please both God and the world at the same time. They are utterly opposed to each other in their thoughts, their desires and their actions” (Saint John Vianney). Feeling bored about our Catholic faith is subtle and dangerous—it sort of creeps up on you. When we are bored we tend to be critical and seek more excitement. This is the wrong path. The world offers us false gods and tries to paint a negative picture of Catholicism that is an illusion. We have to fight through these lies. Perceived boredom may lead some to leave the Church for other faiths. 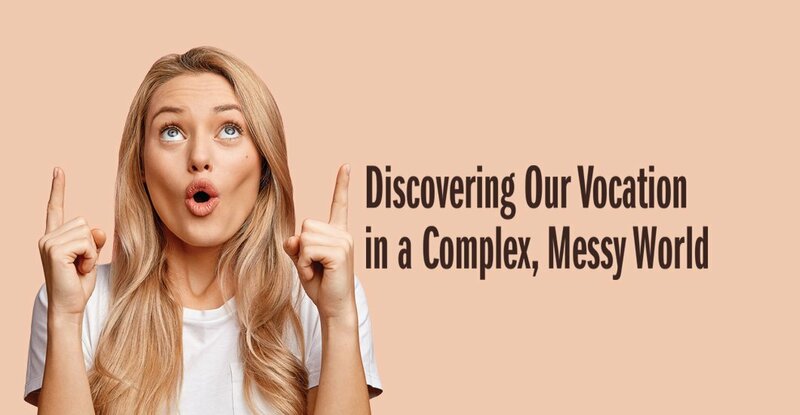 They are often drawn to the excitement and buzz of Protestant megachurches but will learn in time that they had everything they needed in the Church Jesus founded. Let us reflect on how we feel right now about the mass, priests, Church, etc. If we feel bored or critical, let us follow a sound road map to bring us back from this dangerous territory. We have so much to be thankful for as Catholics if we will only take the time to appreciate. The choice is ours and I humbly pray that we will make the right one. We have all experienced that feeling: a sinking in our stomach, a lump in our throat, tears springing to our eyes. We have been let down, disappointed, rejected. maybe we have been tempted to think, “I am never putting myself in that situation again,” “I never want to get hurt again” or “It is not worth it.” Vulnerability is dangerous! We open ourselves up—perhaps in a friendship, a new relationship, an opportunity in ministry or in the workplace—with the risk of being let down. Sometimes, it feels like there is no point in making ourselves vulnerable. Is it not safer, easier, to keep our hearts closed and never get hurt? Not too long ago, I was in a situation almost exactly like one I have described. I opened my heart up, only to feel rejected. I wondered why God would let me experience this horrible feeling. I thought it would be safer to close up my heart. 1. S. Lewis tells us, “To love at all is to be vulnerable. Love anything and your heart will be wrung and possibly broken. If you want to be sure of keeping it intact, you must give it to no one, not even an animal. Wrap it carefully round with hobbies and little luxuries; avoid all entanglements. Lock it up safe in the casket or coffin of your selfishness. But in that casket, safe, dark, motionless, airless, it will change. It will not be broken: it will become unbreakable, impenetrable and irredeemable.” Vulnerable like Christ To love at all is to be vulnerable. To love and live as Christ did, we have to take the step. We have to open our hearts. Jesus is not asking us to deliberately hurt ourselves. If you have been in a relationship of abuse and mistreatment, He is not calling you to continually put yourself back into that situation. Do not confide in a friend who is known for spreading gossip. Perhaps there is a friend with whom you have been waiting to confide but you were stopped by your pride. Maybe you have an opportunity to share your gifts in ministry, but you hesitate for fear of not being good enough. God may be inviting you into a deeper relationship with someone, yet your past wounds are stopping you from taking the leap. Christ made Himself vulnerable to us. Look to the Cross! That is the ultimate picture of vulnerability, the ultimate picture of love. If we want to be like Him, we must imitate His vulnerability. We have to lay down our lives. How can we do this if we are constantly worried about getting hurt? Vulnerable to Christ Jesus Christ is calling us into a relationship with Himself. Have we entered fully into this relationship? Or are we holding back, hiding our hearts from the One who loves us, out of fear? Many times, I have thought to myself, “I cannot give my life to Jesus. He will take something away from me: this relationship or that comfort, these goals and ambitions.” But He is not a God who takes away. 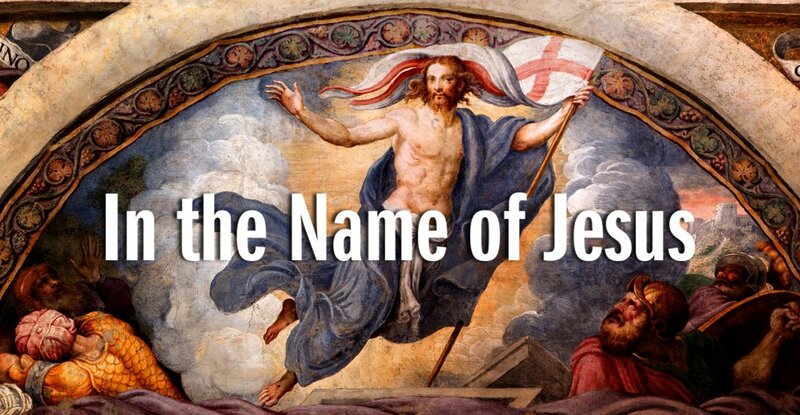 He has already given us everything on the Cross and in the Eucharist. He is asking each of us to be vulnerable with Him in prayer. This may seem impossible at first. But He is listening. He knows our hearts. Tell Him you are afraid to open yourself up to Him. Share with Him your insecurities, your hurts, your anxieties. Offer Him your life—ask Him to help you offer it, day by day, hour by hour and moment by moment. Vulnerable with Christ It can be overwhelming to give of ourselves. We can feel exhausted, mentally and emotionally. That little voice inside of us pops up to whisper that it would be easier to lock our hearts away and avoid the risk of pain or rejection. yet, we are not alone; Jesus walks with us. He, also, experienced pain and rejection. His closest friends abandoned Him and the people He came to save crucified Him. He experienced sorrow and heartbreak. He wept at the death of His friend Lazarus and He weeps at our pain, as well. He knows. He has experienced all of this. That is why He came to earth—to intimately experience our unique human lives and sufferings. We do not have a God who is far off, examining us from a distance. We have a God who is united with us. Vulnerability may sometimes lead us to suffering and pain. Offer that pain to Jesus Christ. Nail it to the Cross. He will transform it and make it redemptive. Thank God that we have vulnerable hearts! 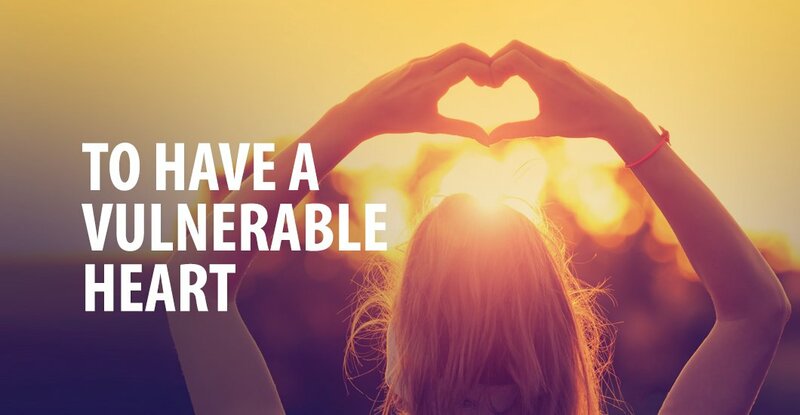 A vulnerable heart is a heart for relationship, a heart for giving and loving. It is the key to living life in and with Christ. By opening ourselves to Him and to the people He places in our lives, we give the Holy Spirit the chance to work in us and through us to bring about the glory of God. Whenever evil is committed in the name of some religion, we are told to conclude that all religions are essentially the same. Religion serves only to divide us and to spread messages of fear and hatred. But the Gospel is GOOD NEWS. It is life giving. We see this in Acts 4:8-12: “Leaders of the people and elders: If we are being examined today about a good deed done to a cripple, namely, by what means he was saved, then all of you and all the people of Israel should know that it was in the name of Jesus Christ the Nazorean whom you crucified, whom God raised from the dead; in his name this man stands before you healed. He is the stone rejected by you, the builders, which has become the cornerstone. There is no salvation through anyone else, nor is there any other name under heaven given to the human race by which we are to be saved.” Jesus was murdered. He was killed in the name of pride masquerading as religious piety. The religious leaders were afraid to arrest Him in broad daylight because they were afraid they would have an angry mob on their hands, so they did it under the cover of night. They were threatened by Jesus’ following, so they sought to stamp out this “Jesus thing” by killing Jesus and thereby silencing His followers once and for all. They put guards at the tomb because they were afraid His followers would try to pull one over on them. But Jesus rose anyway. He came back to life—can you imagine the civil war that could have sprung from this event? Yet the Apostles do not retaliate evil for evil. The Gospel is not spread through fear and intimidation. Jesus’ followers do not go around killing in His name. They go about healing in the name of Jesus. They go about preaching a Gospel of Life. This was not just some clever “PR-strategy.” The apostles were not going around preaching a gospel of “can’t we all just get along?” They were healing and preaching eternal life in the name of Jesus Christ. For that last bit, they were threatened, tortured and killed. It is a pretty hard sell actually: “Join our religion! Heal the blind! Make the lame walk! And be killed for it!” Yet they went about healing and spreading Life anyway, because that is who our God is. That is who Jesus is. The apostles were compelled to tell the world that the God who created us calls us to newness of life. It is Jesus who heals. It is Jesus who gives life. There is no salvation through anyone else—that is not a threat, it is simply the truth and it is GOOD NEWS!